A classic looking sandwich with a twist - sweet apple, savory Cheddar and layers of salty beef bacon come together for a delightfully unique flavour. Check out the full recipe below! Blend Hellmann's Sandwiches Mayonnaise with applesauce, pepper and ginger powder, place in the chiller. Lightly toast the bread before building the sandwich. 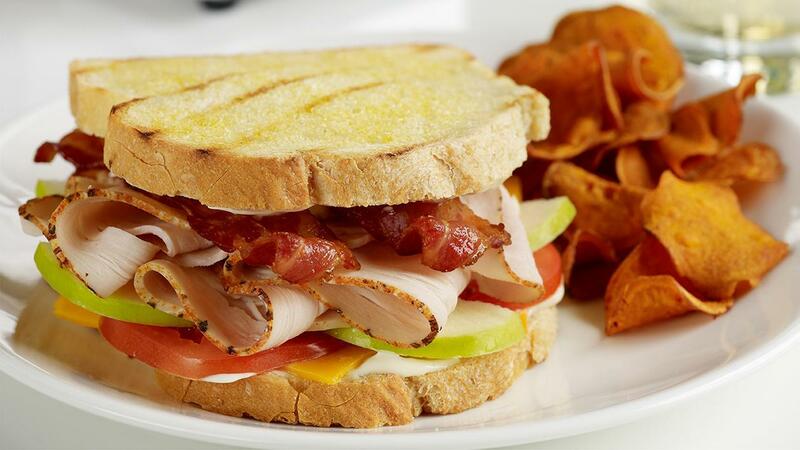 Start with lots of apple mayo and the layer with cheese, tomato, apple slices, turkey and the beef bacon. Add more dressing before closing and slicing the sandwich.